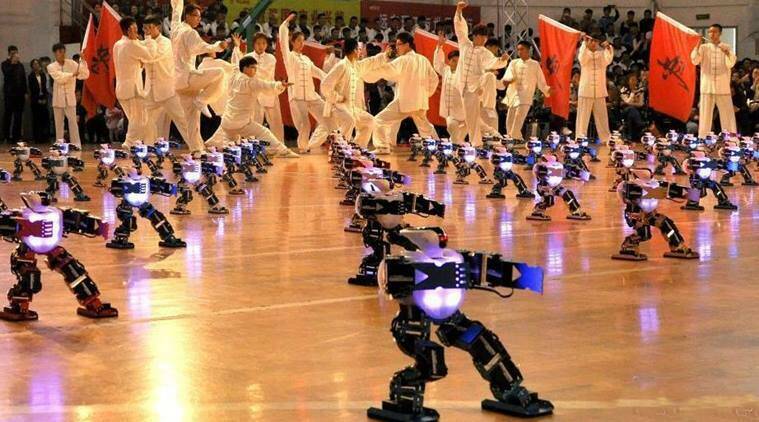 In China, 300 ROBOTS performed KUNG FU together and it’s SO cool! A total of 300 robots got together with martial arts masters, dancing to coordinated movements and footwork at the opening ceremony of the sixth TRCC China Robot Creative Design Competition in Harbin. Thanks to animation films, we have seen Pandas doing Kung Fu, a traditional martial art form (who doesn’t love Po?). But have you ever seen robots doing Kung Fu? Well, if you haven’t, then here it is. On Friday (September 15), as many as 300 robots got together in action getting their movements in perfect coordination. Yes, along with martial arts masters, the robots were seen kicking and gesturing at the same time at the opening ceremony of the sixth TRCC China Robot Creative Design Competition in Harbin. The performance kicked off the three-day skill competition in Harbin, the provincial capital of northeast China’s Heilongjiang Province. The performance kicked off the three-day skill competition in Harbin, the provincial capital of northeast China’s Heilongjiang Province. According to the organisers of the competition, more than 500 robotic teams took part in gymnastics and athletic competitions. (Source: People’s Daily China/ Facebook) (Source: People’s Daily China/ Facebook) (Source: People’s Daily China/ Facebook)However, this is not the first time robots were seen doing Kung Fu in China. 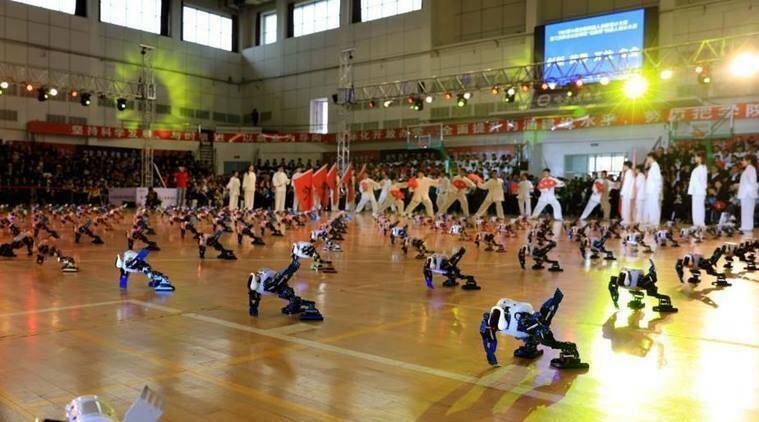 Earlier, at a talent show ‘Amazing China’, 108 robots wowed audiences and judges by performing Chinese Kung Fu, Tai Chi and dancing to the soundtrack of the Jet Li movie Fearless. 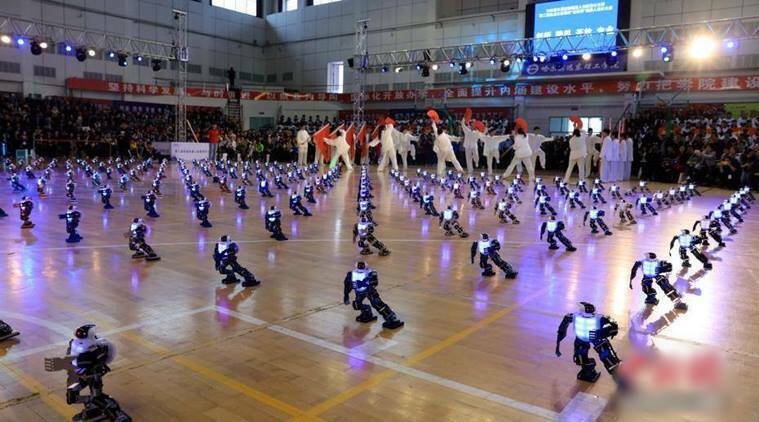 China also holds the Guinness World Records title for the most robots dancing simultaneously. 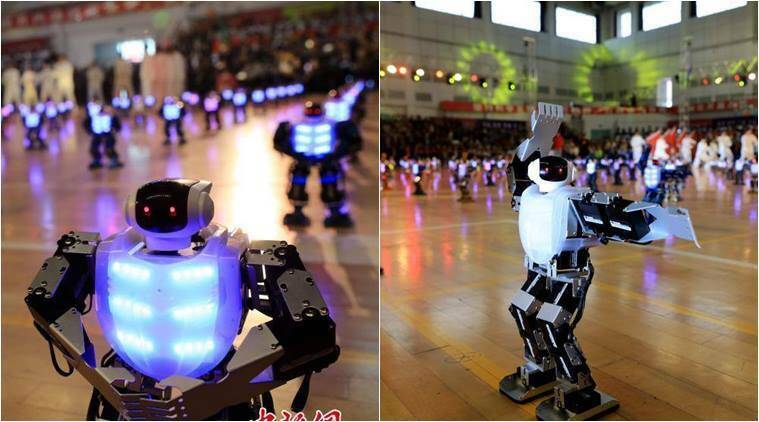 In August, 1069 robots in Guangzhou, Guangdong, were lined up to perform a perfectly choreographed dance routine.